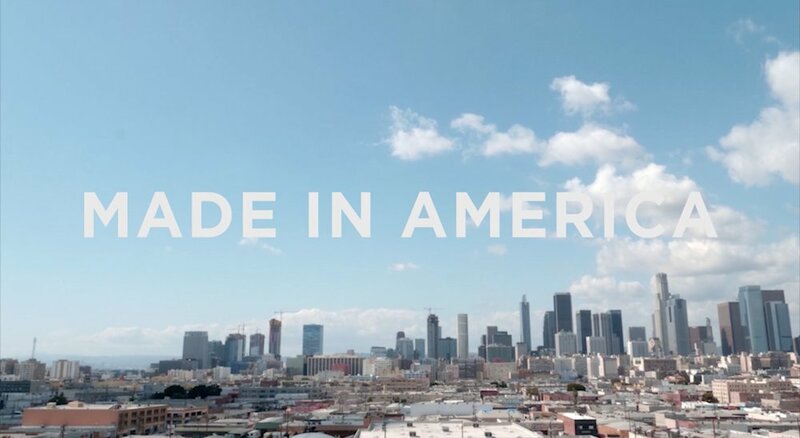 Made in America is the latest installment of Remake’s 'Made In' video series. The film addresses President Trump's call to action of bringing manufacturing back to the U.S., uncovering the unregulated challenges behind the initiative. In the film, we go inside garment factories and connect with garment maker communities to listen and learn. The film humanizes the makers behind Made in USA clothing labels and inspires consumers and designers of tomorrow to use fashion as a force for good. Stephen Philips: After studying animation at Ringling College of Art and Design, Stephen moved to Los Angeles and began making short films. In 2012 he directed Lovemakers starring American Conservatory alums Asher Grodman, Aaron Moreland, and York Walker. In 2014 he directed Cigar Suds. In 2015 he co-directed a micro short titled Frog, Duck, Bugs with animator Mike Klim. In 2016 he directed another short set in the New Cuyama Valley about a broken rancher titled Pumpjack, starring Dear White People's Bryan Porter. He re-teamed with Mike to form Junior Executive Films, a film making duo bent on crafting intimate character driven films. In 2018 he co-directed with Chris Russo a short doc for Remake about the apparel industry called Made In America. Currently, he's the in-house director at XR Pioneer, a VR experimental space in Shenzhen China. Christopher Russo: Born and raise in New Jersey. Chris studied animation at Ringling College of Art and Design. After graduating he landed an internship with Laika Entertainment in Portland, Oregon learning the ins and outs of of the commercial film industry. He then cut his teeth commercial freelancing for the better part of a decade in New York, Los Angeles, Chicago, Seattle, Montreal, and Portland. Clients have included, Apple, Exxon, Google, Gatorade, HBO, Honda, HP, Motarola, Mountain Dew, Nat Geo, Samsung, and UnderArmor to name a few. In recent years he's branched out to cinematography and color grading. The short documentary Made In America is the culmination of this new obsession.